Our drinking water is tested to look for the presence of toxic chemicals. Our air quality is monitored as well. Recently, several important studies have reported the levels of these chemicals in our bodies! The CDC tested thousands of people for over a hundred different substances, many of which had never been tested before. The results were released on Jan 31, 2003. At about the same time, the Environmental Working Group, Commonweal, and the Mount Sinai School of Community Medicine released a study in Public Health Reports that tested for the most comprehensive list of chemicals ever, in a small number of people. On average, each person in this study tested positive for over 90 different chemicals, most of which didn’t even exist when my parents were young. We know that when two chemicals are present, their effects are often multiplied rather than added. Scientists have documented that when non-toxic levels of PCBs are mixed with low levels of dioxin, for instance, the combination produces 400 times the damage of dioxin alone. What might the effects of 90 different chemicals be, even at low amounts? Both studies are wake up calls that the chemicals in our environment wind up in the bodies of everyday people. There are thousands of synthetic chemicals in common use. Some are wonderful; some are dangerous; most have never been adequately tested for safety. Even fewer combinations have been tested. While parents are waiting for this important testing to occur, we can make a difference for our own children by limiting their exposure to pesticides. 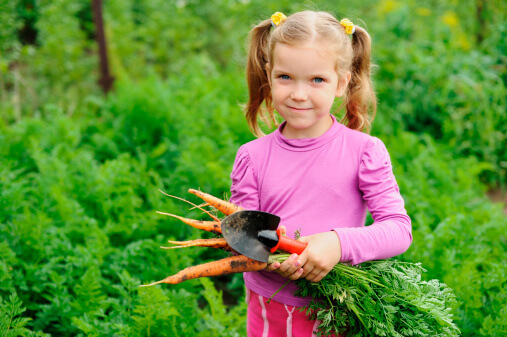 Organic food makes a difference for our children and our world.